January through March is BBQ Festival Season in Polk County! These barbecue competitions bring the best teams from all over Florida and even some from out of state. While they compete for prizes, we get to enjoy the mouth watering BBQ at these family friendly events. You’ll find an assortment of ribs, pulled pork, beef brisket, chicken, sides, desserts, and more. In addition to good eats, you’ll also find live entertainment, kids activities, and plenty of other treats to keep everyone happy. Plus, all of these events raise funds for non-profits in our community! Lakeland PigFest, Smoke on the Water in Winter Haven, and Ribs on the Ridge in Haines City are all annual local favorites – details below. Join the Lakeland Pigfest Board of Directors and the over 150 competition barbecue teams for a weekend of good eatin’, good friends, and good tunes to benefit Lakeland-area charities as we kick off the Annual Lakeland Pigfest! Located at the SUN n' FUN Campus. Admission to Lakeland Pigfest is just $5 and kids 12 years and younger can enter for free. The good eatin’ won’t cost you much and is well worth the value. Stop by a Pig Bucks booth (located near the entrance and various locations throughout) and exchange your cash for Pig Bucks, the official currency of the Lakeland Pigfest. By purchasing food from competition teams, you are supporting their efforts and local charities. This epic BBQ event is held at the Citrus Center Boys and Girls Club in Winter Haven. 2400 Havendale Blvd. NW. A free “Park & Ride” service will be provided from Champions Church, located at 1801 Havendale Blvd. NW. Premium parking ($5) also available. Friday Night Festivities featuring a sneak peak at the BBQ vendors begin Friday, February 1 at 6 pm and are open to all (Friday entry – $10). Saturday Night Join us for the big BBQ competition and music on Saturday, February 2 from 10 am – 6 pm (Saturday entry – $1 donation). 100% of funds raised go directly to Boys and Girls Clubs in Winter Haven, Lake Wales and Haines City. The cost is only a $1 donation (kids 12 & under are free). 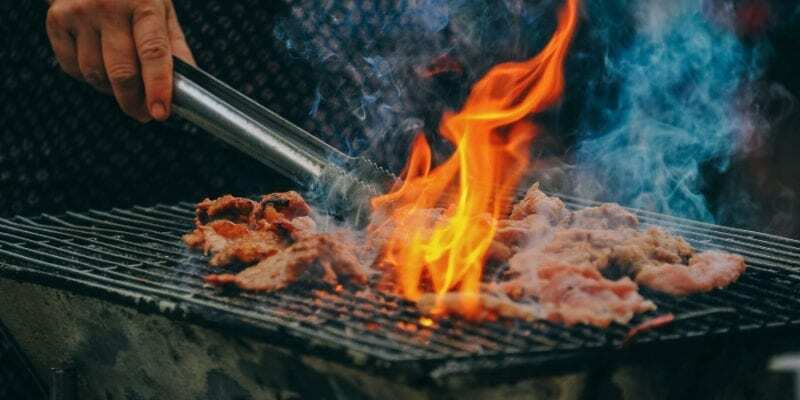 Haines City’s annual BBQ competition sanctioned by Florida BBQ Association will be held on February 22, 2019 from 5 PM to 9 PM and February 23, 2019 from 10 AM to 5 PM. This event is FREE to the public. This year's event will benefit KidsPACK, an organization that feeds food insecure children in and around Polk County. Enjoy live entertainment throughout the event as well as food and crafts vendors. Ribs on the Ridge also draws barbecue teams from across Florida and the nation. Professional and amateur teams compete for cash prizes, trophies, and bragging rights. "Flipping for Charities", the 61st Annual Kiwanis Pancake Festival will be held Saturday, February 9, 2019 inside Publix Field at Joker Marchant Stadium. Please join us for delicious pancakes and sausage as well as coffee and juice and a variety of entertainment. "Flipping for Charities" has raised millions of dollars that have been distributed to various local charities having a direct impact on the children of our community! !Please join us for delicious pancakes and sausage as well as coffee and juice and a variety of entertainment. "Flipping for Charities" has raised millions of dollars that have been distributed to various local charities having a direct impact on the children of our community!! Family Pack: $20 (2 Adults/2 Children) Adults: $8 Children: $4 (ages 2-12) *Children’s tickets include moonwalk activities and a milk ticket. The Downtown Farmers Curb Market's first annual Sugarbuzz Dessert Festival will take place on March 9, 2019 from 8am to 2pm. Shop with a wide variety of "sweets" vendors--talented purveyors of pies, pastries, cookies, donuts, sweet breads, and more! Check back later for more details on specific vendors, their location in the market, and the products they sell. 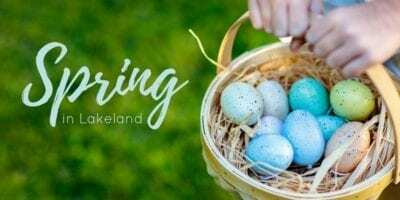 Be sure to check out our Spring Activity Guide for Spring Break Camps, Spring Break activities, tips for attending Sun ‘n Fun & Mayfaire, details on Lakeland’s favorite annual Spring events, and more.